Another month, another issue! For the month of March the Trend Online team and I collaborated on this colorful aesthetic. We aimed to portray the feeling of growing up, but keeping those playful and colorful thoughts you had as a child. 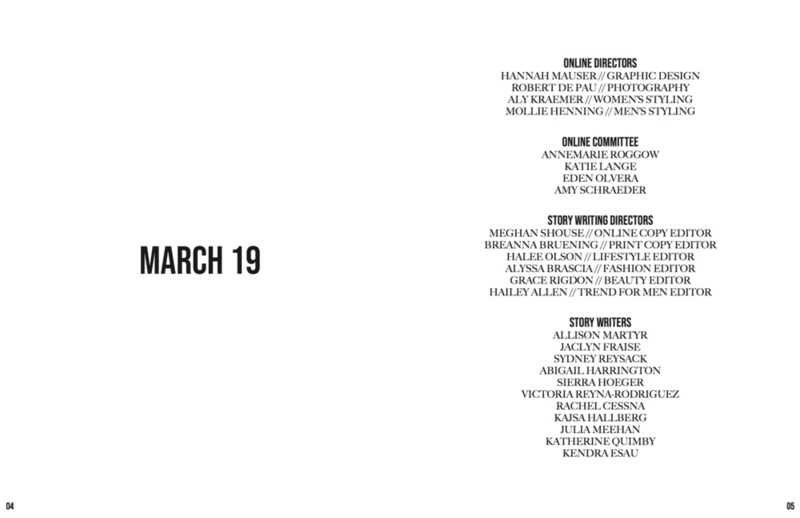 Read the full issue below and check out my graphic design work for the Trend Online March Issue.